I do not have to think long before I can do a write-up on Maximilian Büsser & Friends, not in the last place because Maximilian Büsser has been a friend of the show since some time now. 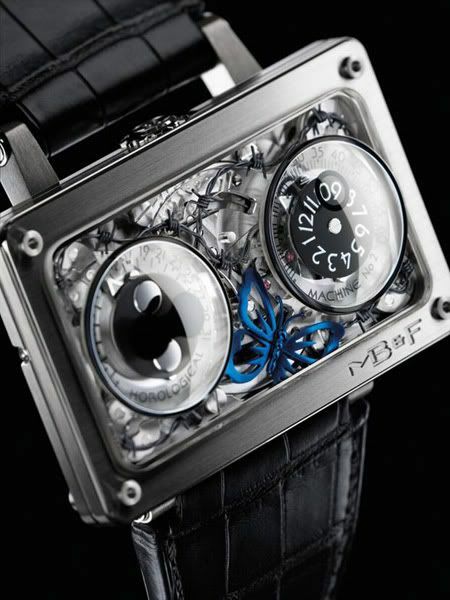 MB&F watches are something special, something out of the ordinary. 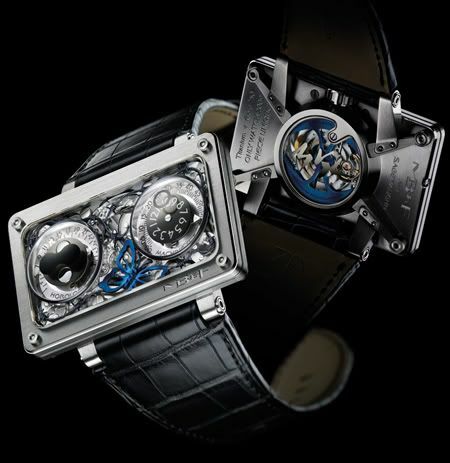 The same goes for MB&F’s contribution to the annual Only Watch, to be held in Monaco on 24 September 2009. Max Büsser, his team (Friends) and Sage Vaughn (an American painter) worked together to be able to contribute with a special watch for Only Watch later on this year. I am almost sure, and without seeing any of the other watches that will be contributed, that this watch will be the Only Watch that captures a lot of emotion that comes with the Duchenne Muscular Dystrophy illness. There is a great press release of this special Horological Machine No2, but I think these pictures will do the trick as well. Of course, I hope that every contributing watch will fetch a great amount of money in support of the Duchenne Muscular Dystrophy illness and R&D of a cure, but this MB&F HM2 with the symbolic butterfly and it’s clipped wing is already my favorite time piece of the event.